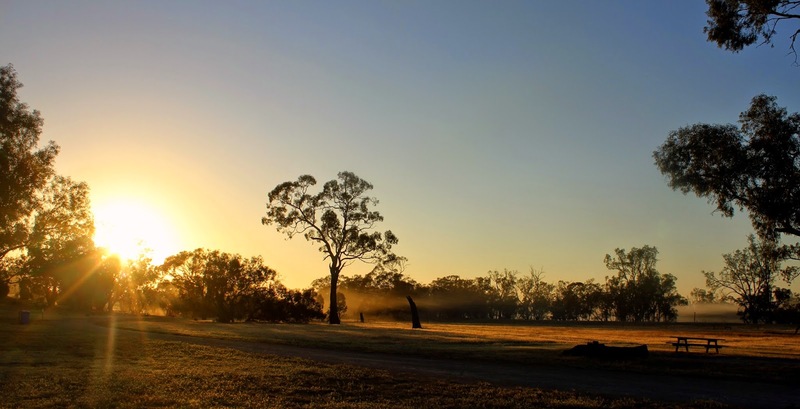 The very pleasant Wonga Campground, looking spectacular in the morning light. 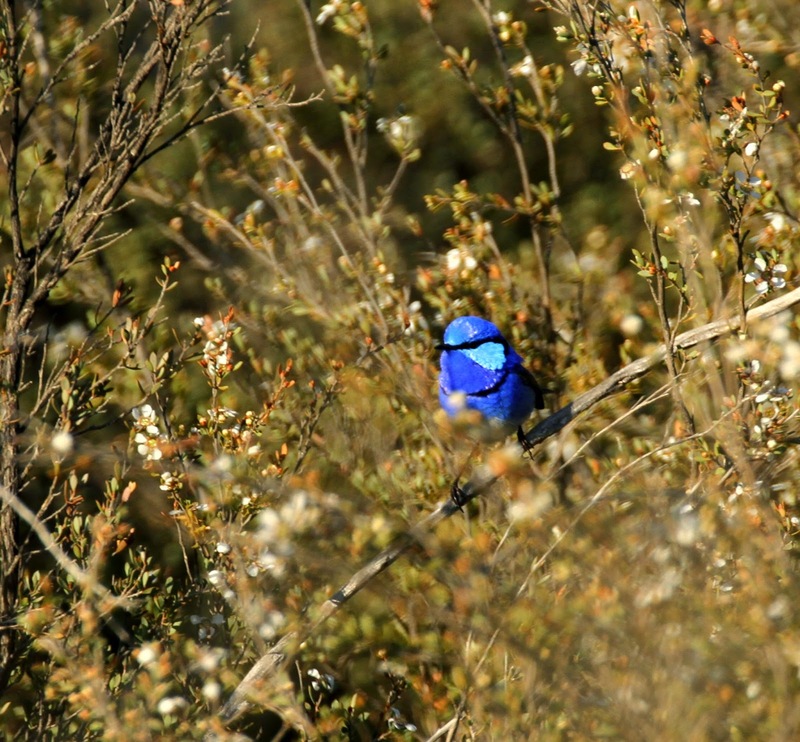 Not only is Wyperfeld National Park an extremely pleasant place to visit, it is also one of the best birding sites in Victoria. 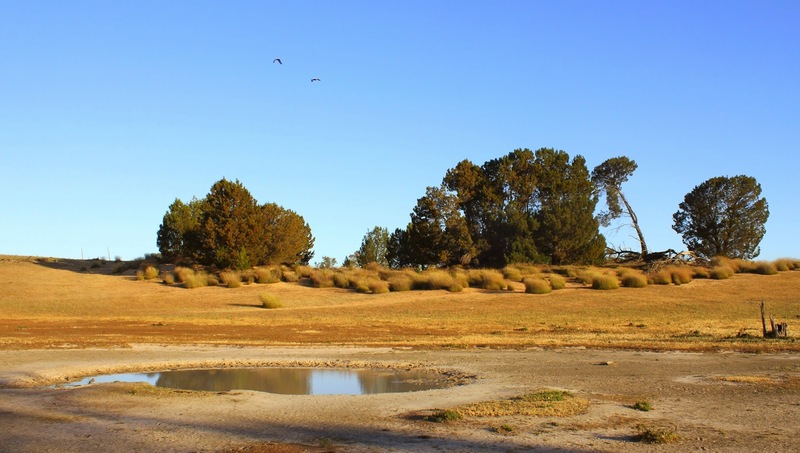 Located in north-west Victoria, it was first proclaimed a National Park in 1921. 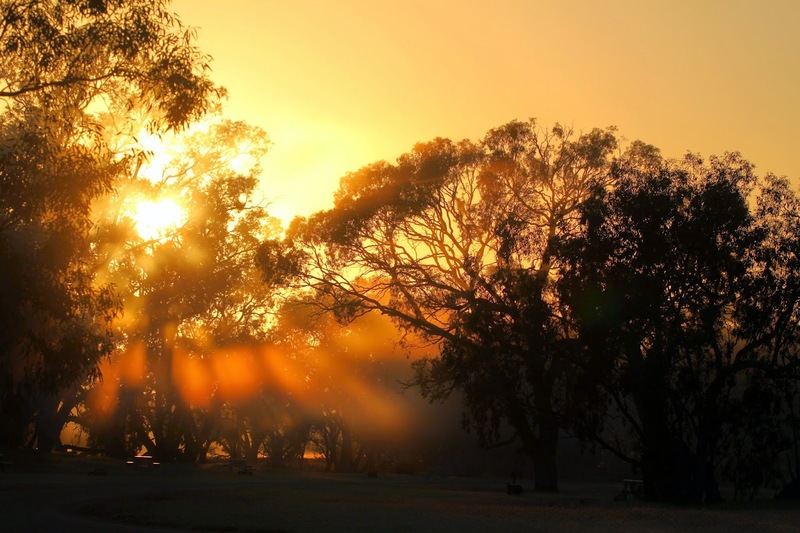 It is also a huge park – covering over 350 thousand hectares – so it give you a great feeling of wilderness and tranquillity, and is an excellent camping destination for those looking for a taste of the outback. For birdwatchers, more than 20 species of parrot (including Major Mitchell’s Cockatoo and Regent Parrot) occur within the reserve. 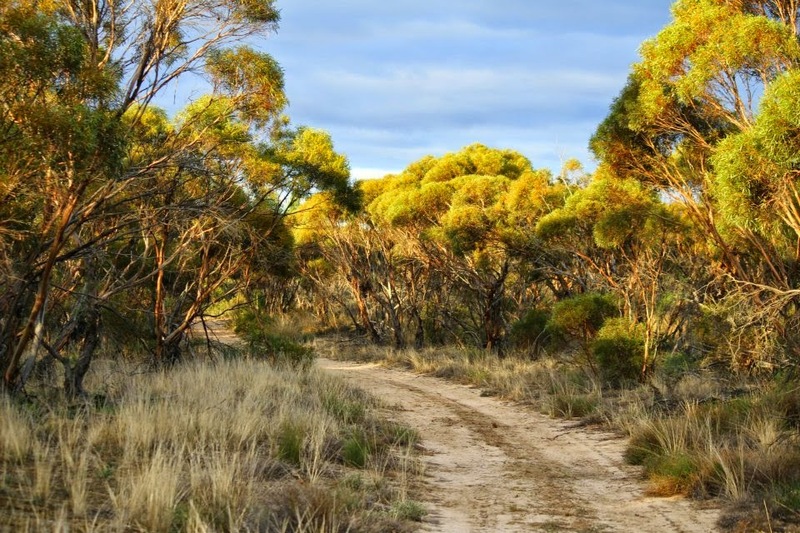 It is the only reliable site in Victoria for Redthroat and one of the best sites in the state for both Malleefowl and White-browed Treecreeper. Notably in 2014 Mallee Emu-wren was found to occur along the discovery walk.The park is dominated by a range of complex habitat types. 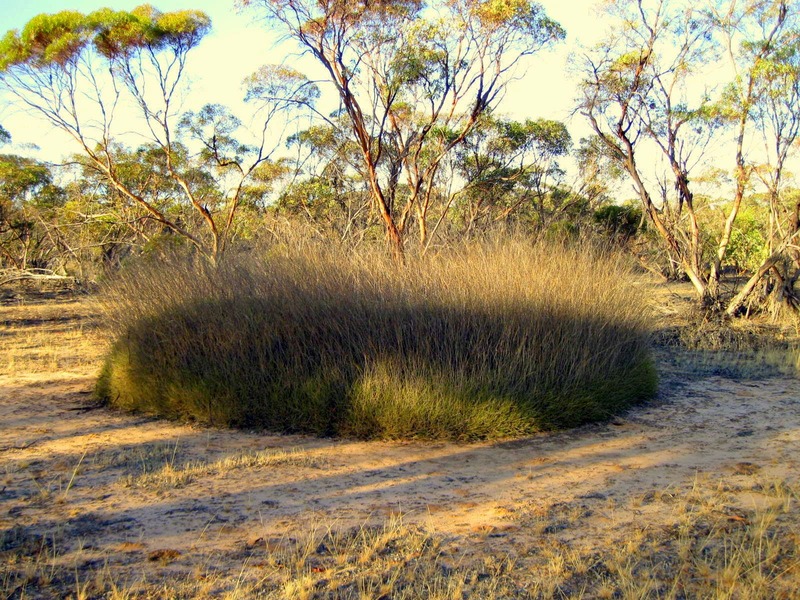 The most significant is the Mallee Eucalyptus shrub-land i.e. those areas containing multi-stemmed Mallee eucalyptus, often in association Spinifix (Triodia irrantans). 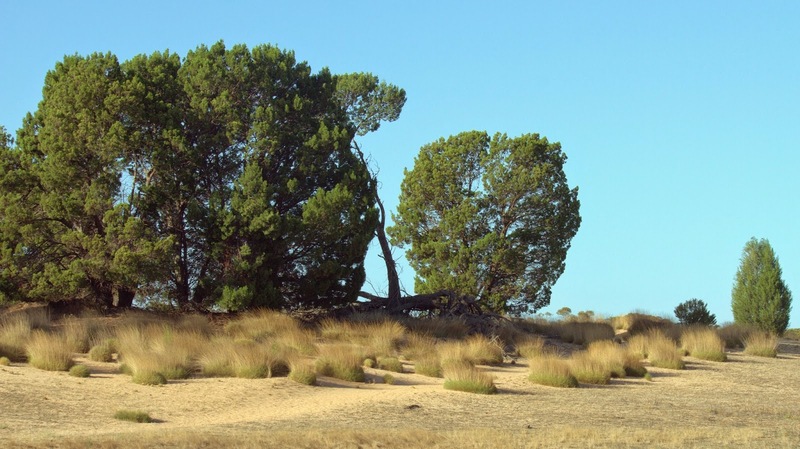 This habitat is interspersed with stands of Slender Cypress-pine (Callitris gracilis), Buloke (Allocasuarina luehmannii) and Belah (Casuarina cristata) woodlands, and there are also large areas of River Red Gum and Black Box grassy woodlands. The best time to go birdwatching at Wyperfeld is autumn, winter and, especially, spring. In summer temperatures can reach the low 40s, although the birding can be good in the morning and late evening. From an access point of view, the park is effectively divided into two parts, southern Wyperfeld and northern Wyperfeld – each discussed below. Along this walk I’ve had one of my best birding moments of all time. When I first visited the park as a teenager I recorded, in succession, Black Honeyeater, Black-eared Cuckoo and then Redthroat. At the time, all these where new birds to me – three ‘life ticks’ with three iconic Australian species of birds, one after the other! 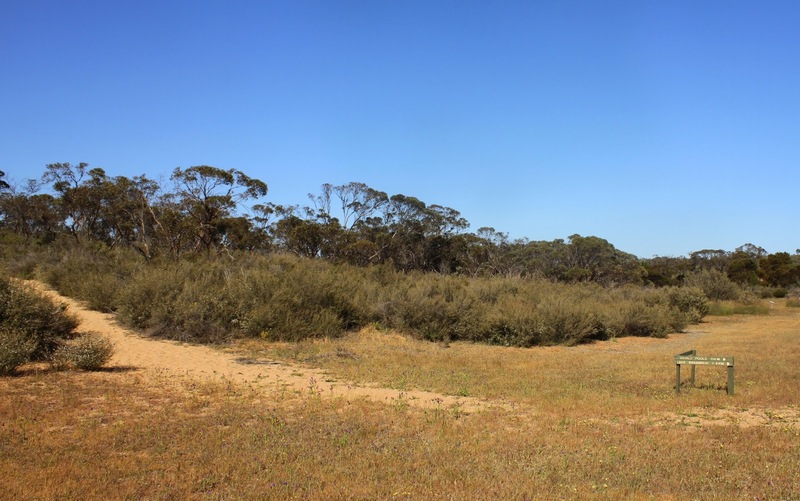 The area is an interesting area of Mallee woodlands that includes species such as Yellow Mallee (Eucalyptus incrassata), Mallee Tea-tree (Leptospermum myrsinoides) and Buloke (Allocasuarina luehmannii) on sand dunes. Devil’s Pools, with near permanent water, it is a popular drinking hole for the Mallee parrots and cockatoos. 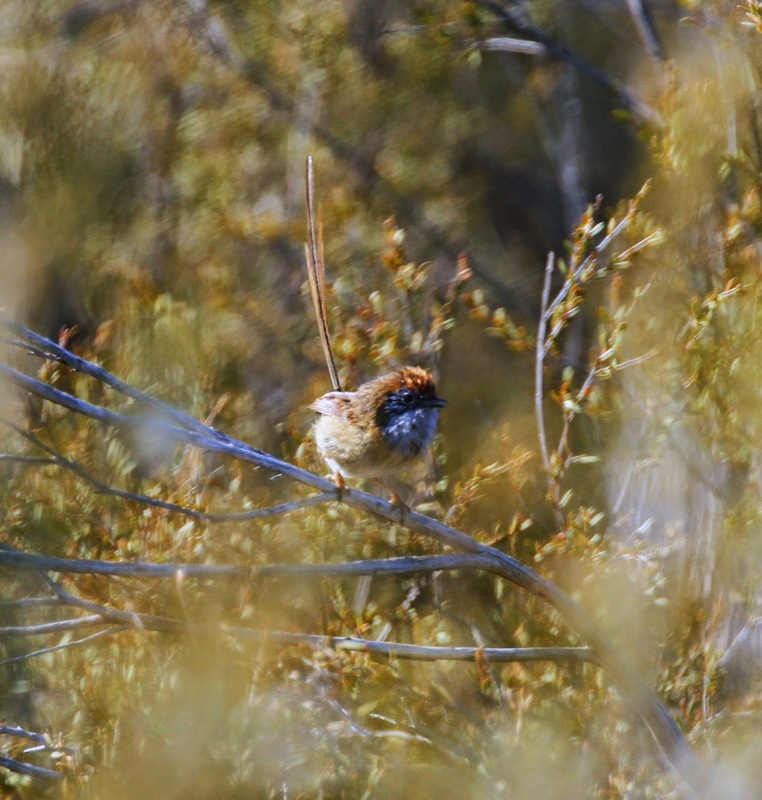 Mallee Emu-wren, seen along the Discovery Walk in 2014. Shy Heathwren is also common here, along with Splendid Fairy-wren, Southern Scrub-robin, Chestnut-rumped and Inland Thornbill, Red-capped Robin. Honeyeaters can be excellent: you might see Yellow-plumed, White-eared, Singing, New Holland, Black (nomadic and usually locally rare), Brown-headed, Tawny-crowned and White-fronted, particularly when the heath is flowering. In 2014 a population of Mallee Emu-wren was found along the Discovery Walk – a truly remarkable find given the last confirmed record for the whole of Wyperfeld National Park was 8 years earlier! Look for them in the tea-tree heath with scattered Triodia where the walking track turns west just before Devil’s Pools. The Devil’s Pools is also an amazing spot, representing one of the few places in the park where you are likely to find water, and consequently many of the Mallee birds especially parrots come to this spot to drink. 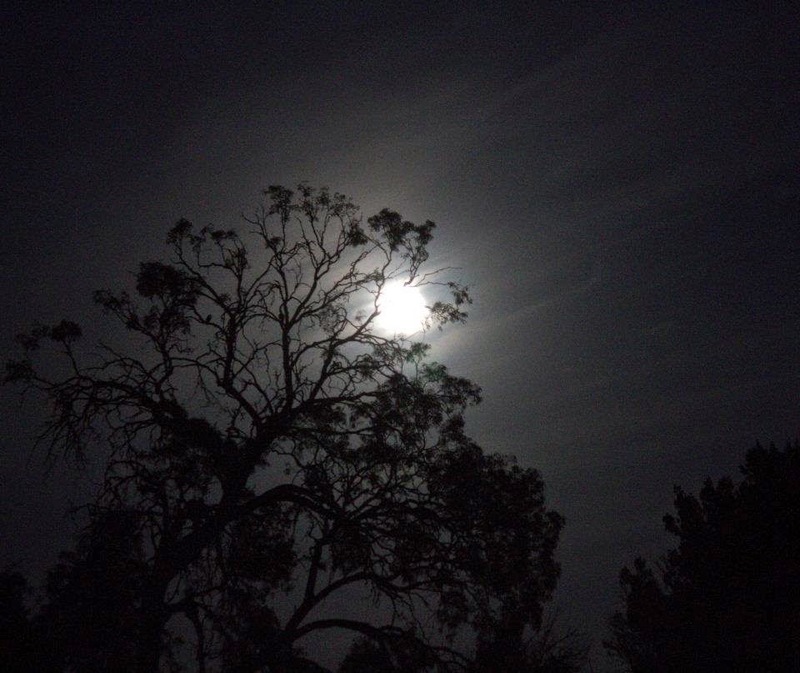 Emu can usually be seen here, and at night Spotted Nightjar circle this area. The Mallee Emu-wren site along the Discovery Walk, located just before you get to the Devil’s Pool. Another favourite spots in Wyperfeld is the start of the Dattuck Track, located just past the Eastern Lookout. This area contains extensive areas of Mallee with some large stands of Spinifix. This is a reliable place to see Malleefowl, Victoria’s only megapode. In particular, look on the right (southern) side of the track, about 150 metres down. Also in this area I’ve recorded Shy Heathwren, Chestnut Quail-thrush, Gilbert’s Whistler, Splendid and Variegated Fairy-wren, Little Button-Quail, occasionally flushed from the grassy area beside the track, as well as Mallee parrots such as Australian Ringneck (Mallee subspecies barnardi), Regent, Mulga and, occasionally, Blue-winged Parrot. I’ve also seen Gilbert’s Whistler here, look in the area between the Dattuck and Eastern Lookout. During summer this is a good spot to see woodswallows such Masked, White-browed and Dusky Woodswallow. The most common honeyeater are Yellow-plumed, White-eared and Spiny-cheeked Honeyeater. The Eastern Lookout is also worth a look and, nearby, at the end of the Lignum Track there is an area of River Red Gum (Eucalyptus camaldulensis) and Black Box (E. largiflorens) woodland, is a good site for White-winged Triller, White-browed and Masked Woodswallow, Hooded and Red-capped Robin, Varied Sittella (mostly orange-winged subspecies chrysoptera). In summer Brown Songlark can be seen in nearby grassy flood plain. Mulga Parrot, once known as the Many-colored Parrot. 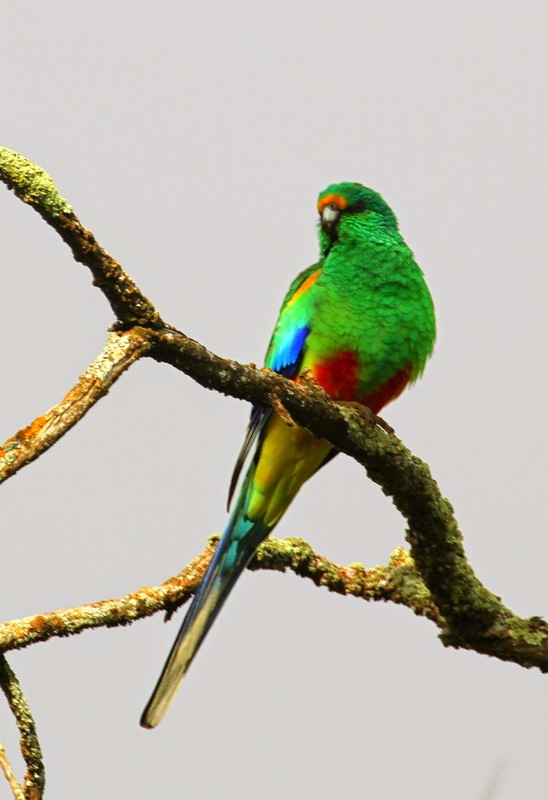 A range of birds can be seen in and around the Wonga Campground itself. The most common birds here are Jacky Winter, Brown Treecreeper, Australia Pipit, Spotted Pardalote (yellow-rumped ssp xanthopyge) and I have also seen Major Mitchell Cockatoo, Cockatiel, Southern Boobook, Sacred Kingfisher, Tawny Frogmouth, Hooded and Red-capped Robin, Emu, Rufous and Brown Songlark. Western Grey Kangaroo is common here as well. It is also worth keeping an eye open for the very rare Grey Falcon, with several pairs known to nest in this part of Victoria. 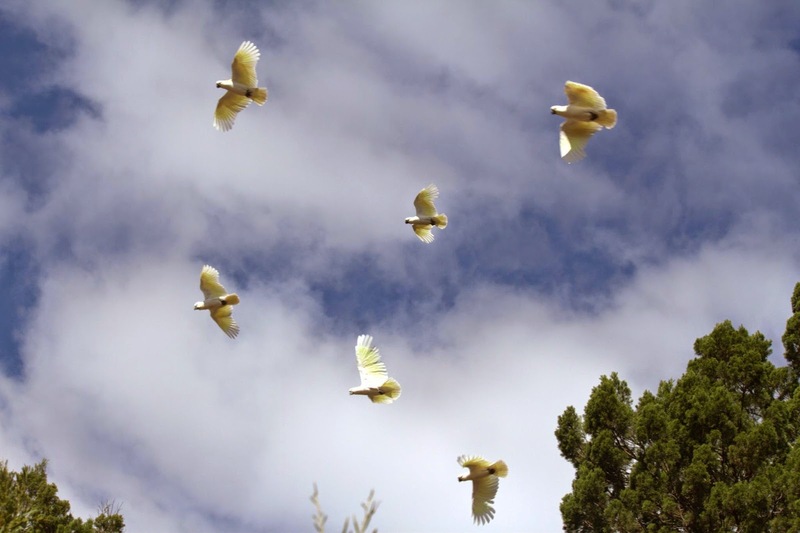 I once had an untickable view of a bird flying over the campground itself, chasing a flock of Sulphur-crested Cockatoo. Around the campsite there often also large numbers of parrots, being one of the best places in Victoria to see all the Mallee parrots. When I stayed there in 2005, Regent Parrot were common (with one flock being 150 birds), and there were large numbers of Major Mitchell Cockatoo, Little Corella, Blue Bonnet, Mulga Parrot and Australian (Mallee ssp) Ringneck. Splendid Fairy-wren is common in the hill just behind the campsite, and you can expect to hear Southern Boobook and Eastern Barn Owl. 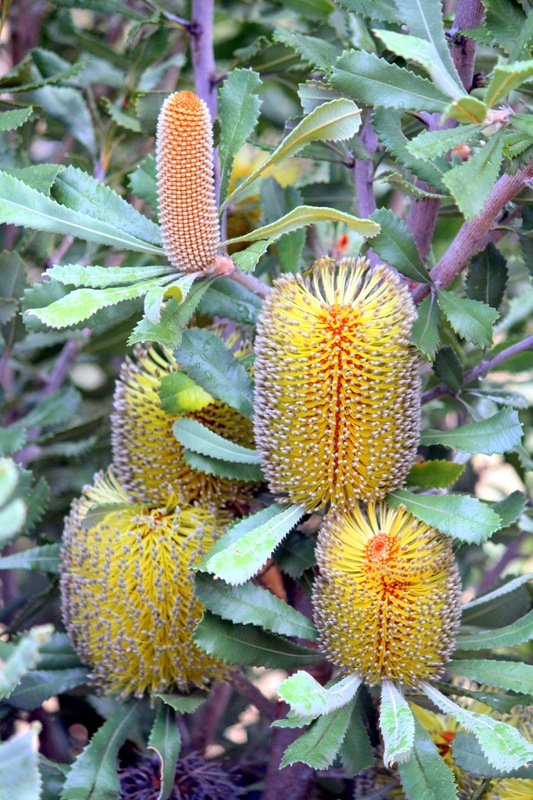 The stunning Desert Banksia (Banksia ornata) along the Desert Walk. Over the years I’ve regularly seen Crimson Chat on the Meridian Track. These were seen in the roadside cypress-pine approximately 300 metres south of the Wool Track turn-off. I’ve also recorded Elegant Parrot (rare in Wyperfeld), Masked and White-browed Woodswallow, White-winged Triller and Rufous and Brown Songlark. In 2006 Crimson Chat were also seen along the Jenkins Track, between Kelly’s Lookout and Mount Jenkins. The pines at the beginner of the Meridian Track, in the small hillsides just to the south the main park information sign, are also a good site for White-browed Treecreeper intermixed with large numbers of Brown Treecreeper. The impressive Snowdrift Sandhill is another spot to look for Major Mitchell’s Cockatoo. West of Goschen Bushland Reserve, Gama Bushland Reserve (not signposted) is a very small roadside area of bushland on the corner of Gama Sea Lake Rd and Sunraysia Hwy. There are several stands of Long-leaf Emu-bush (Eremophila longifolia) located in the reserve, and when flowering they attract nomadic honeyeaters such as Black, White-fronted, and (rarely) Pied Honeyeater. Other birds at Gama include White-backed Swallow, Blue Bonnet, Hooded Robin, Rainbow Bee-eater and Variegated Fairy-wren. Australian Bustard occur in small numbers in the farmland bordering southern Wyperfeld, particularly west of Lake Albacutya Regional Park. 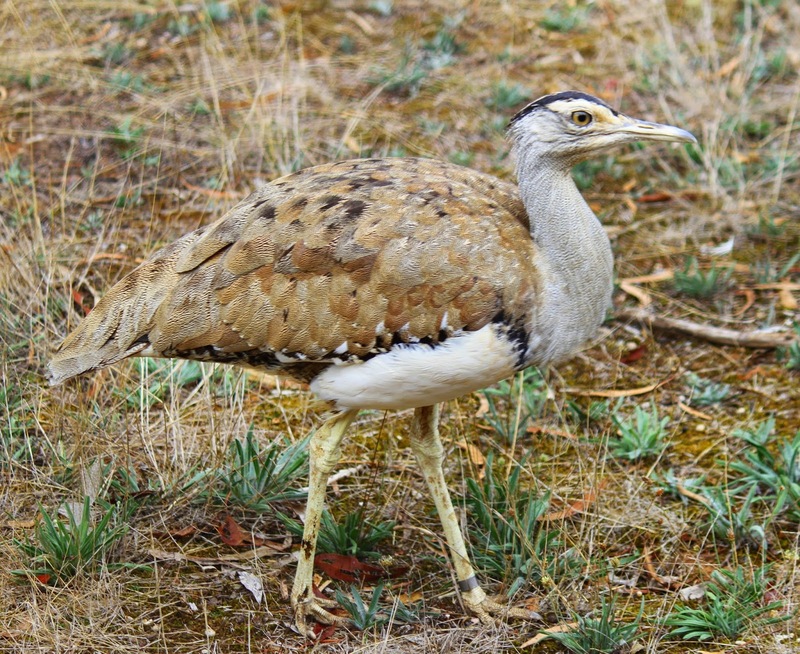 The only reliable place to see Australian Bustard in Victoria is to search the roadside farmland near the southern section of Wyperfeld in an area known as the Telopea Downs, such as near Yanac and Netherby. One spot to look is north of Kaniva on Arthurs Rd, between Chappel Rd and Murrawong North Rd. Aside from there, I did once see a Australian Bustard flying over the road near the entrance to southern Wyperfeld.